For those interested in a career they can do from all over the world, with various types of people, and across various subjects, becoming a teacher is a tough gig to beat. Possibilities expand even more for people who consider the fact that once an individual has earned a teaching degree, she has opened up an array of career possibilities for herself beyond becoming a teacher. She may choose to become a teacher for the first few years of her career and then branch out, or she may decide to move straight into a job that’s less likely to come to mind with a teaching degree in hand. It’s important to pursue the potential for variety in a career if that’s what’s appealing—especially because students are bound to sense when their teacher would rather be doing something else. Below are a few examples of less often considered careers well-suited for holders of teaching degrees. Nonprofits and for-profits exist to help recruit teachers, train them, and teach them to think more creatively about curricula. For example, EL Education (formerly Expeditionary Learning) grew out of a collaboration between the Harvard Graduate School of Education and Outward Bound USA. EL has created open-source curricula across ages and subjects and strives to help teachers run vibrant classrooms. Other organizations recruit and train teachers to work with vulnerable students. Anyone interested in playing this sort of connective, behind-the-scenes, creative role in the education system can research nearby nonprofits and organizations doing this type of work. Sometimes, schoolteachers ready for a change find that a similar role in a completely different context is just what they need. For this cohort, opportunities with corporations may be the way to go. Many companies need a team of people to create training programs to standardize and develop skills among employees, to run these programs, and to tweak and evaluate them. A teaching degree and some teaching experience are great assets when applying for such positions. It’s impossible to spend much time in a museum of just about any size without coming across special programs designed to take museum visitors deeper into the material and its context. Most offer regular guided tours, field trip programs, special weekend or off-day activities, events to coincide with major historical anniversaries, and much more. Of course, plenty of work goes into designing such programs, and certified teachers are qualified to plan and execute them. The role draws on skills that certified teachers developed in their own education: delving deeply into a subject to develop an understanding and nurture an interest, finding creative ways to instill that interest in others, and enlisting others to help. 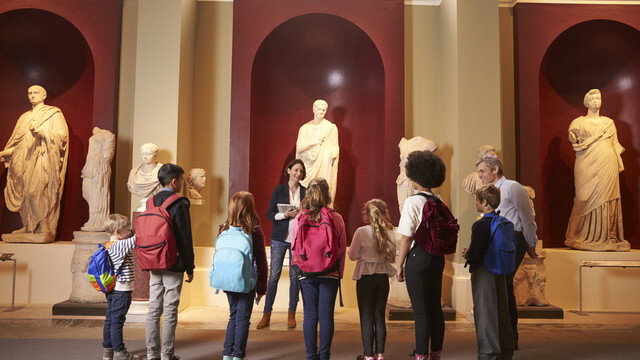 For many former and would-be teachers, a role in a museum can offer just the right context in which to share their skills with a wide representation of members of the public. Teaching-degree holders often pursued that role because they possessed well-honed verbal and writing skills, and there are plenty of other vocations that make use of those skills. One of them is the role of technical writer. These are often flexible positions offered on a contract or freelance basis, though full-time positions are also available. Technical writers draft things such as user guides, instruction manuals, and white papers for corporations, research firms, and other organizations. While a course in technical writing is sometimes required, the teaching degree can help a resume stand out. While this role often requires a PhD, or at least a master’s, it draws upon the skills and passions of those who train to be teachers and attracts many who are looking for a non-teaching role in the education system. Education policy analysts ask the crucial questions about education laws and funding and devise studies to find the answers. Of course, they also produce reports on their findings. For anyone with a teaching degree, there’s no doubt that the job opportunities are far from limited to teaching. People with various passions, personalities, and skills are drawn to that particular degree, and just as many career options are out there to take advantage of it.